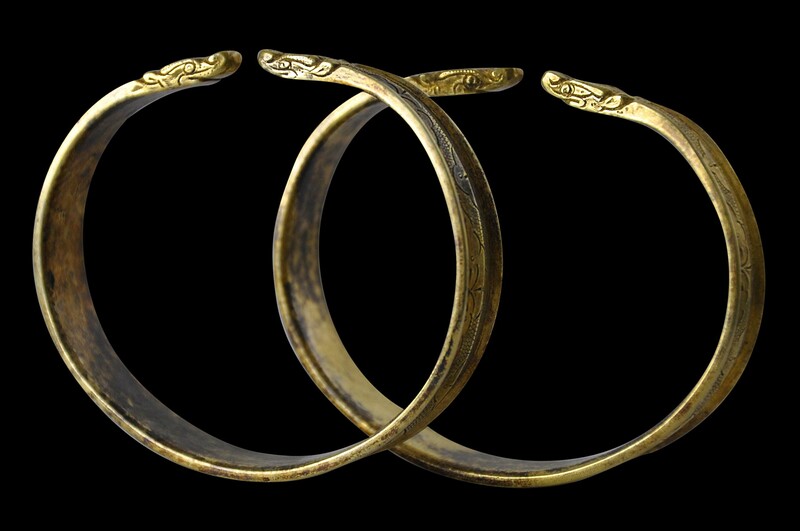 This very beautiful pair of gilded (gold plated) silver bracelets are in ‘C’ form and have been cast from silver using the lost wax process, engraved and then gilded (gold plated). They have raised edges and a raised central spine that runs the length of each bangle. 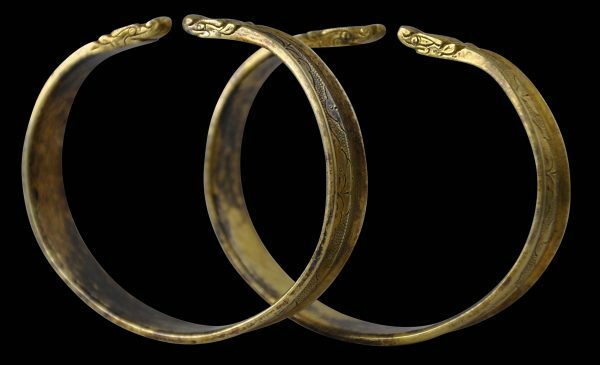 Shen (2006, p. 160) illustrates a related gold pair that were excavated from the tomb of the Princess of Chen who was buried in 1018. 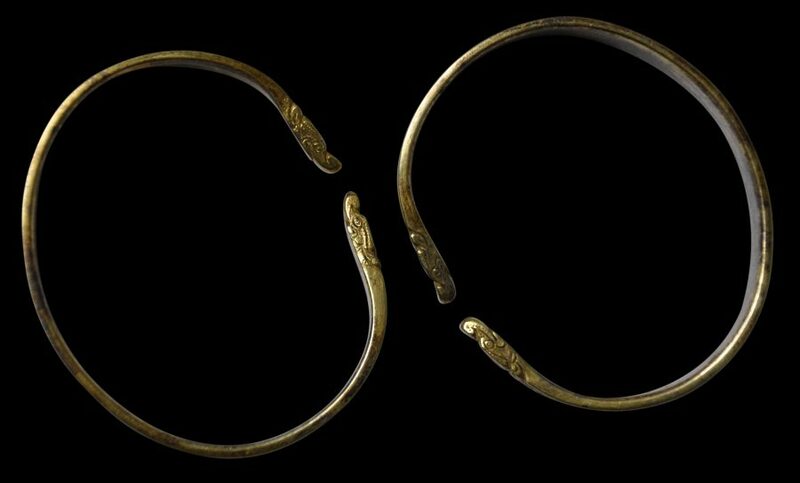 According to Shen, ‘C’-shaped bracelets with animal terminates were first produced in the ancient Near East in the first millennium BC. Later, the form spread to Eurasia. The substitution of dragons for other animals was an innovation of the Khitan people, the founders of the Liao empire. Shen, H.N. (ed. 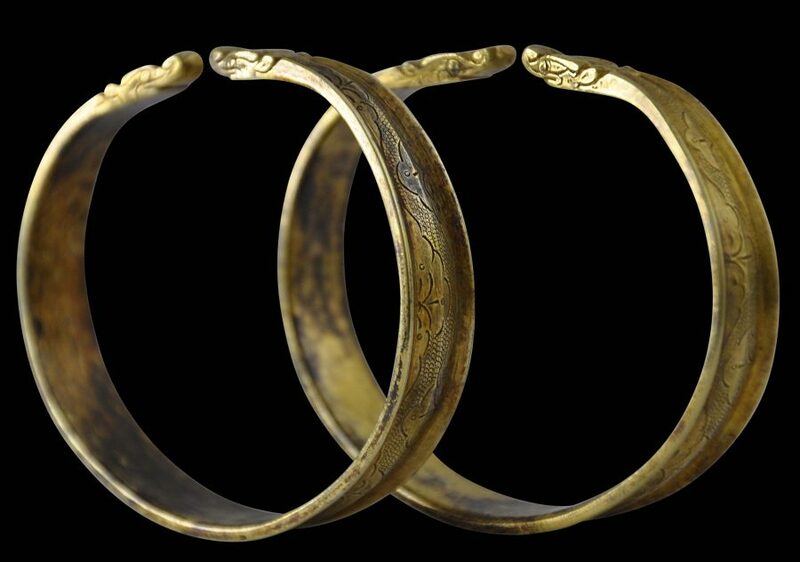 ), Gilded Splendor: Treasures of China’s Liao Empire (907-1125), 5 Continents, 2006.